The amount of great eateries in Pike Place Market is unreal. 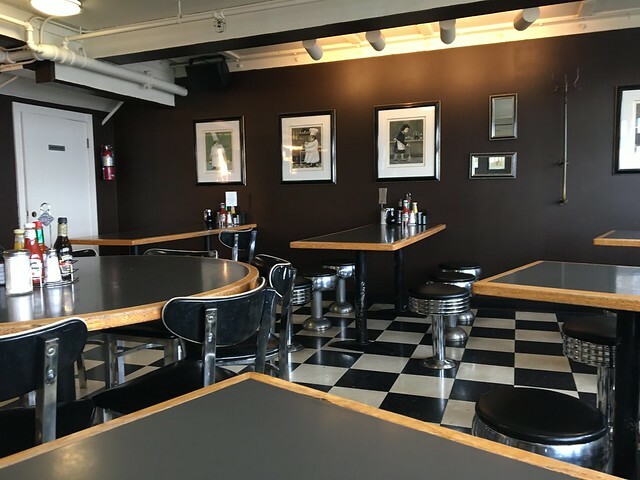 But, I didn't want to leave without trying Lowell's - which is three floors of waterfront views and boasts the slogan "Almost Classy since 1957." Since my time was winding down, I left early in the morning to grab some breakfast. Lowell’s Restaurant & Bar has been serving the public for close to 100 years. 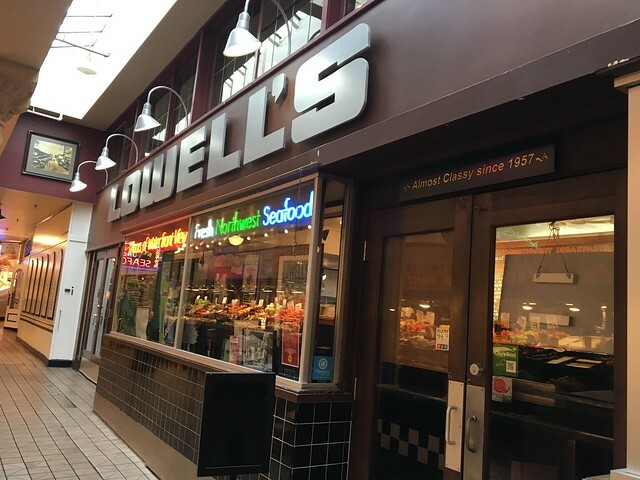 In the early 1900′s Lowell’s was a combination coffee roaster, peanut roaster and cafeteria that served the citizens of the Seattle when they visited the “Public Market” to purchase fresh farm produce, seafood and dairy goods. The “flagship” Manning’s Cafeteria, then became Lowell’s in 1957, and has remained so ever since. 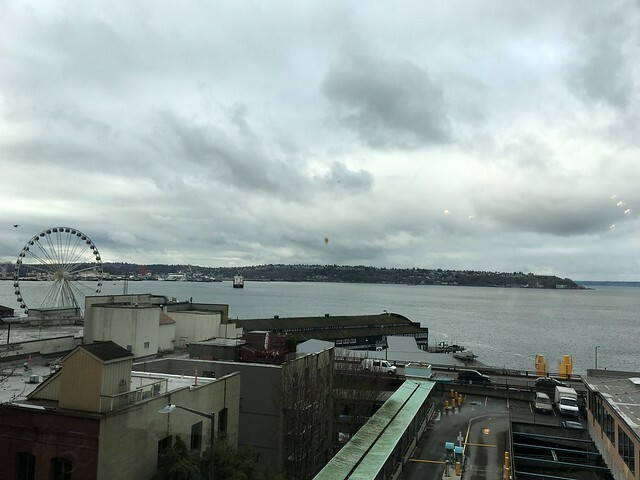 From the front entrance in the main arcade of Pike Place Market, it is unlikely that most visitors realize Lowell’s actually has three floors of seating—all offering world class views of the Olympic Mountains, the ferries crossing Puget Sound and a seagull’s view of the Port of Seattle. We are proud to be the destination meeting spot of locals gathering to go out elsewhere, business travelers needing a casual centrally located lunch location, multi-generational families and couples gathering for their weekly week-end breakfasts as well as “The Living Room” of the Pike Place Market that all of our neighbors frequent after a hard days work in the vegetable stalls, fish markets, craft stalls and street singing and painting (OUR STORY). 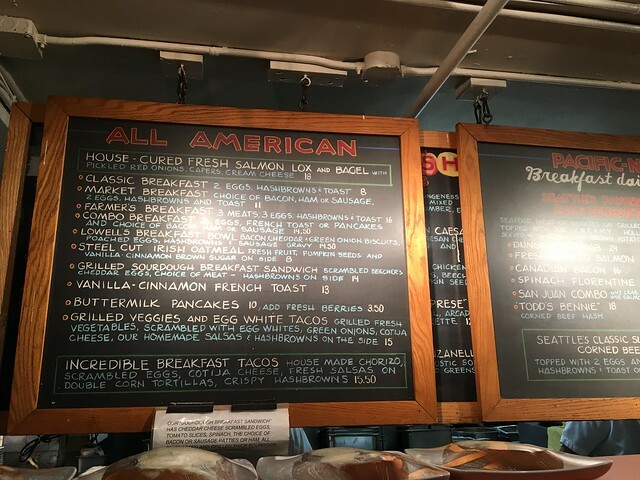 The thing that struck me on the menu was the bagel & lox: "Fresh Wild King salmon that we house cure with a dill brine wrapped and weighted for a week then sliced thin and served with a toasted bagel, house-pickled red onions, cream cheese and capers on the side." 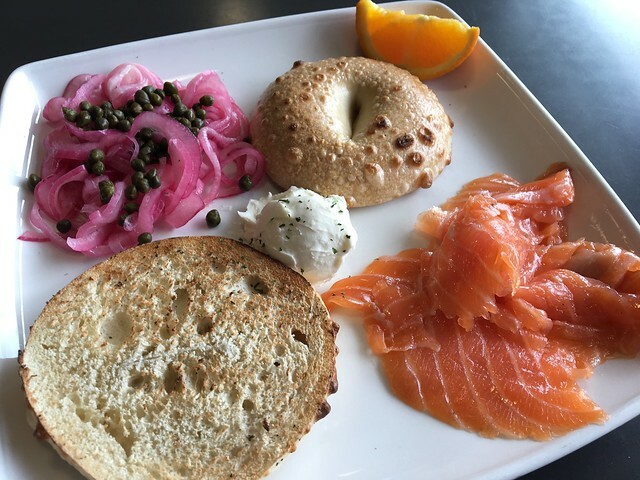 Possibly the most expensive bagel & lox ($18), but it was very tasty. I love the pickled onions - even if they might not necessarily be traditional. The lox was good - if not a bit gummy in places. Regardless, very good.